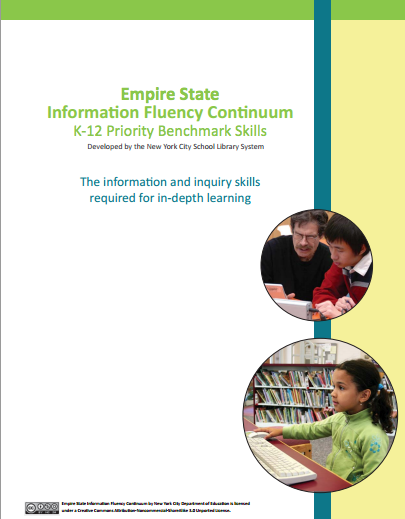 The Empire State Information Fluency Continuum provides a K-12 framework for the instructional aspects of a library program. The framework is based on three standards that form the basis for the skills and strategies that are essential for students to become independent readers and learners. 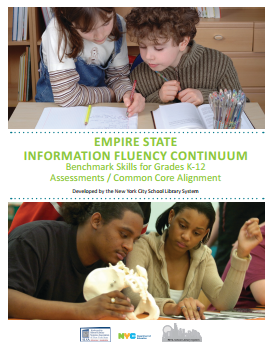 The Empire State Information Fluency Continuum is endorsed by the School Library Systems Association of New York State and aligned to the Common Core Learning Standards. This document (an excerpt from the Empire State IFC) lists the benchmark standards and corresponding assessments.